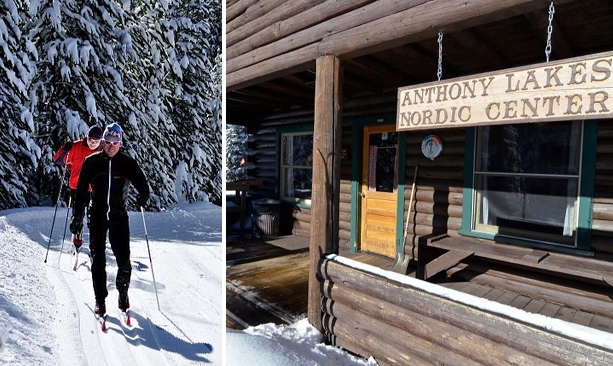 Anthony Lakes has 30 kilometers of groomed Nordic skiing. Nordic ski trails; the Nordic Center makes its home in a Civilian Conservation Corps building. 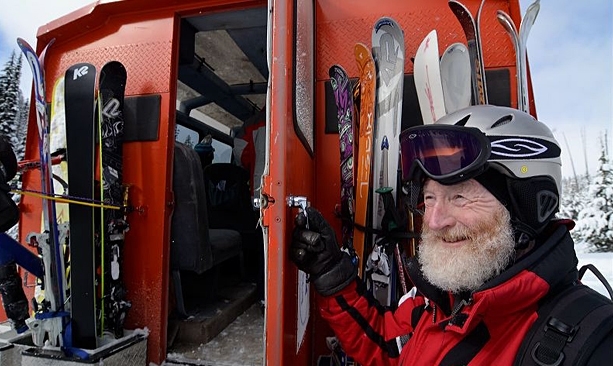 The snow-cat opens the door to back-country powder skiing in the Elkhorn Range. There’s room for 12 on this ride. 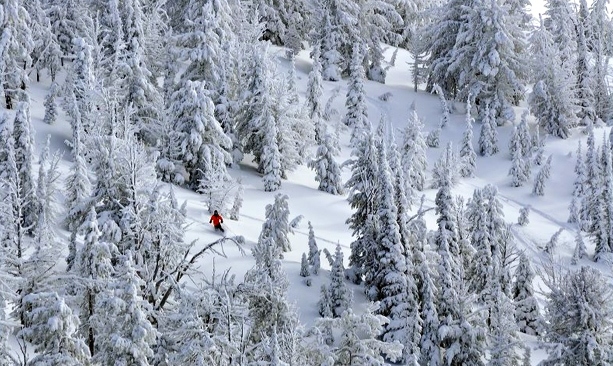 A cat skier enjoys fresh lines through the quiet trees. 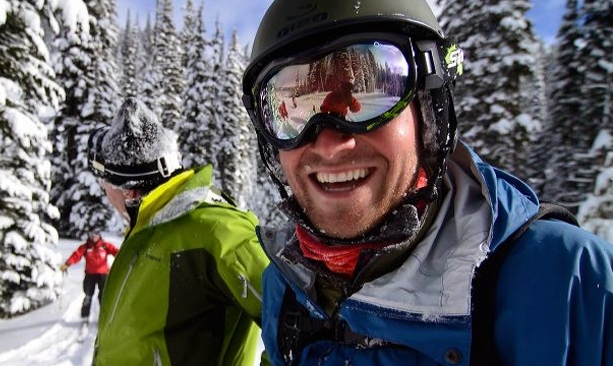 Catskiers get access to 2,000 acres of bowls, chutes and glades. The smile says it all. 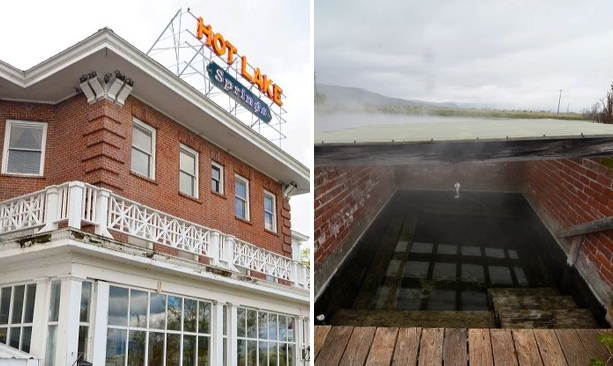 Park yourself at Hot Lake Springs for a rejuvenating post-ski soak. The recently restored property includes a 19th-century hotel, a historic soaking house, a bronze casting studio and gallery, and a restaurant. Mt. 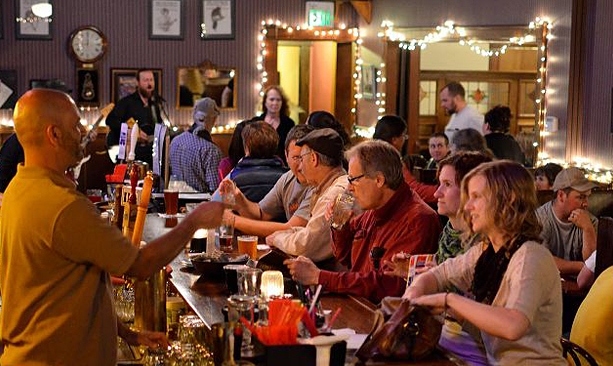 Emily Ale House in La Grande has pints, pizza and burgers. 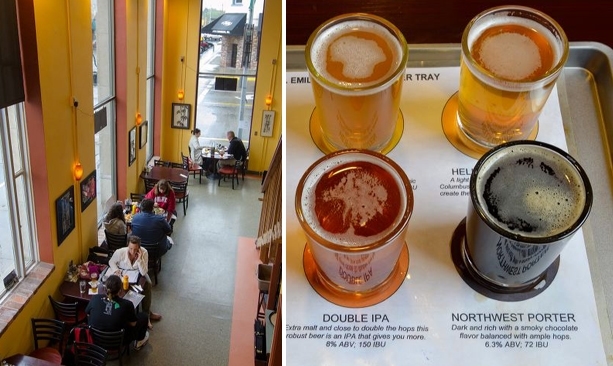 Ten Depot Street in downtown La Grande has a regional wine list and a full bar. The menu offers a range of dishes from soups, salads and pasta to steak and seafood. Anthony Lakes Ski Area was established more than 50 years ago, and it still has a lot to celebrate. For one thing, there is the base elevation of 7,100 feet — the highest in Oregon, which brings an average of 300 inches of fine, dry powder. 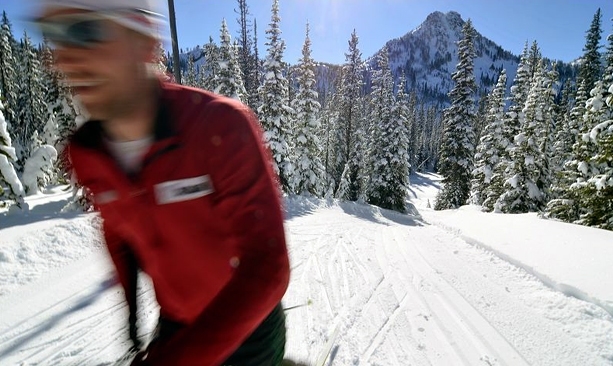 Tucked away in the Elkhorn Range of the Blue Mountains (just 45 miles from La Grande and 35 miles from Baker City), it’s also known for sunny skies, short lift lines and a family-friendly attitude. And there’s plenty of the steep and deep: More than 40 percent of the 21 runs are rated black diamond, and harbor 900 feet of vertical. Back-country powder hounds love the snow cat access into bowls and glades. And Nordic skiers glide along 30 kilometers of groomed trail (including some dog-friendly routes). But there’s something else about Anthony Lakes that sets it apart from most ski areas: It operates as a nonprofit, community-owned ski area. 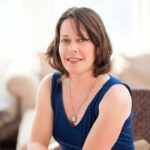 Alice Trindle, longtime resident and nonprofit board member, says locals have a strong sense of loyalty and ownership. “It is our ski area. It’s a family tradition. We grew up there,” she says. Trip tip: Visitors can reserve a yurt for overnight stays. You can also rent the entire area for your friends and family with the “Own the Mountain” program.